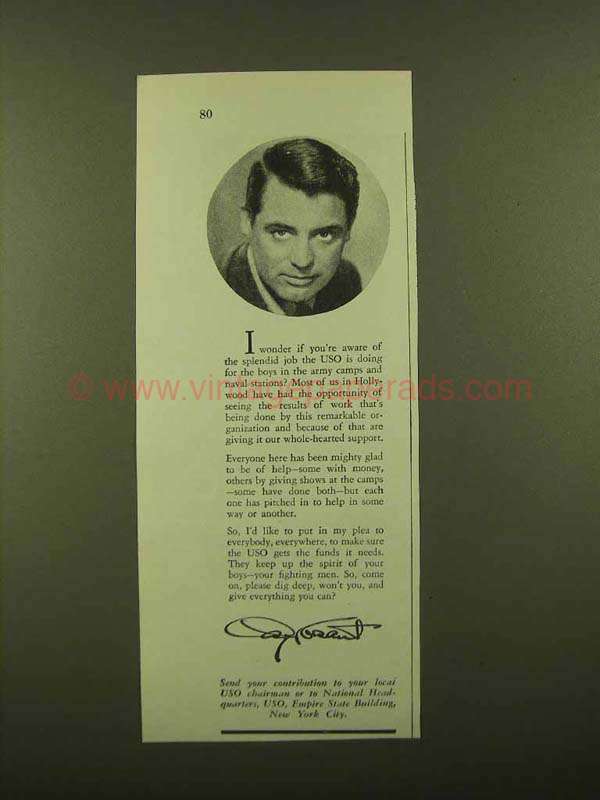 This is a 1943 ad for a USO with Cary Grant! The size of the ad is approximately 3x7.5inches. The caption for this ad is 'I wonder if you're aware of the splendid job the USO is doing for the boys in the army camps and naval stations?' The ad is in great condition. This vintage ad would look great framed and displayed! Add it to your collection today! 1985 Heard Museum Ad - Have You Heard?